Located in Carmel Valley, California, Jan de Luz expertly specializes in antiques fireplaces & mantles, fountains & wishing wells, reclaimed building material, rare antique specialty items; offering excellent guidance with antiques, and reproductions, superb customer service, and a genuine French connection, affectionately called "The French Touch". Co-owning a limestone quarry in France, only the best materials are used in the creation of your custom designs. At Bay Area BBQ Islands We Manufacture Custom Outdoor Kitchens, Fireplaces and Fire Pits to Enhance Your Backyard Enjoyments. We Carry a Full Line of Grilling & Accessories Equipment to Fit Your Lifestyle. Our Commitment to You is Above & Beyond Exceptional Quality Service. Your Satisfaction is Our Guarantee to You! 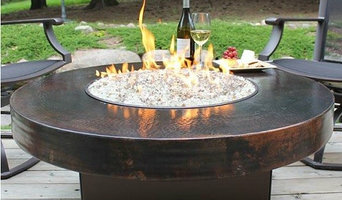 California Home and Garden offers a large selection of design driven accessories for your home and garden. Beautiful design is our passion. We are first and foremost designers and as such we are committed to providing our wholesale customers with fresh, imaginative, beautifully designed products at affordable prices. Our unique line of garden ornaments, from our huge metal sunflowers to our daffodils and lilies are each handcrafted works of art. In addition we offer a line of classic wrought iron furniture made in the European tradition of hand forged heavy iron with hand finished marble tops. Our fabulous chandeliers, delicate rose mirrors, ornate gates and arbors create an old world ambiance. We also offer architectural antiques including huge carved doors, old iron gates and other one of a kind pieces. 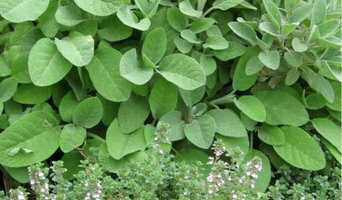 Manufacture and supplier of microgreens supplies. We design and manufacture products designed to ease and improve growing needs of residential and commercials growers. If you’ve been dreaming of a beautifully landscaped property with a water feature or a concrete fire bowl but don’t know where to start or what landscape supplies to buy, it may be time to look into garden and landscape suppliers in your California area. From retaining walls to raised garden beds, these professional vendors can make your backyard the oasis you’ve been longing for. What’s more, many of these professionals can help you take your ideas from design to installation and provide garden care and yard maintenance according to your Santa Cruz, CA climate. Here are some related professionals and vendors to complement the work of garden & landscape supplies: Landscape Contractors, General Contractors, Landscape Architects & Landscape Designers. What if you would love to grow your own vegetables but have site limitations? Many garden supply companies offer planters and containers that are up to 42 inches tall. For those who live in colder climates, consider a greenhouse — just the thing to enjoy starting plants or growing exotic blossoms that wouldn’t quite work in your Santa Cruz, CA climate. Find garden and landscape supplies on Houzz. 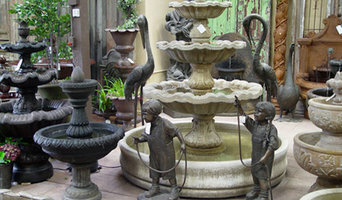 Search the Houzz Professionals section for Santa Cruz, CA garden and landscape supplies. Browse photos and read reviews. 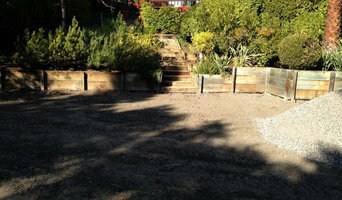 You can also explore full-service California landscape architects and garden contractors.